I’m guilty of not making enough salads, or really making any consistent effort to get fresh vegetables on the dinner table. I notice what’s missing every time, it’s the doing something I’m going to have to work on. But this past week I got tangerines for a drink that I forgot to make – or haven’t made yet…? We shall see. 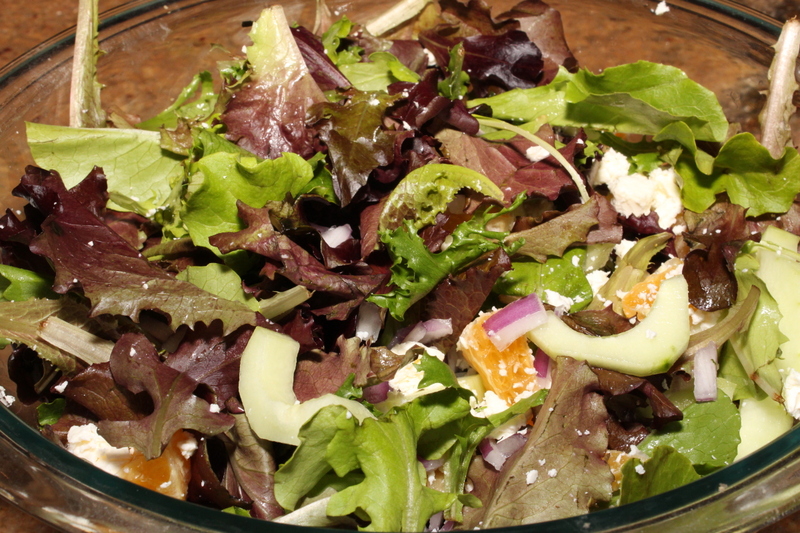 I used a salad mix, because I was feeling like I slacker when I was shopping. Sometimes I have a little more of a “go getum” attitude when choosing my vegetables. 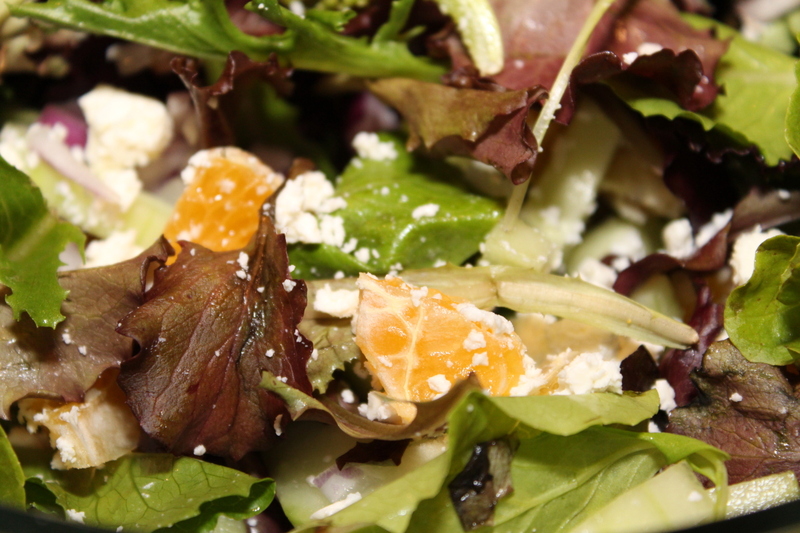 Some feta cheese make a nice balance for the tangerines. 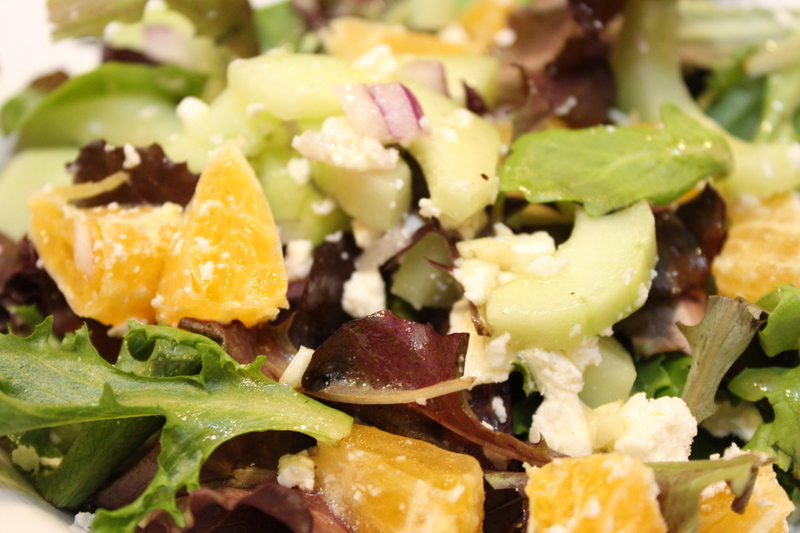 Feta cheese is really good in almost anything. I love it in a salad. 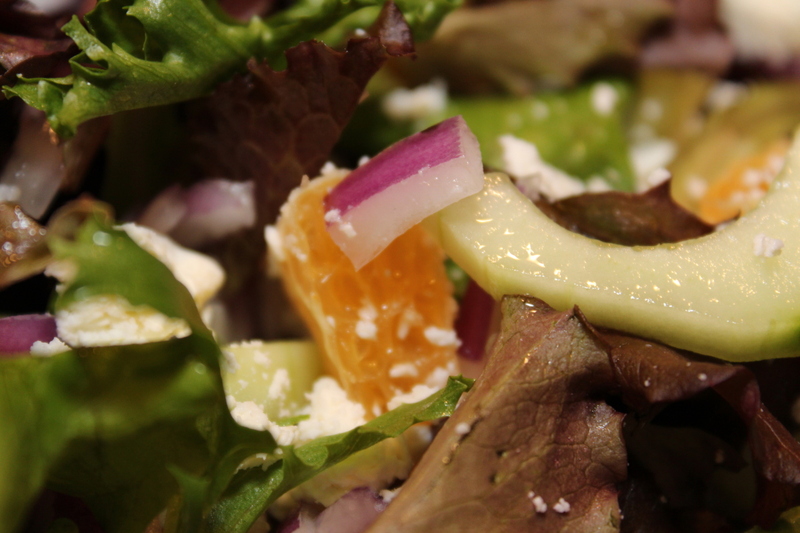 It brightens up a salad. 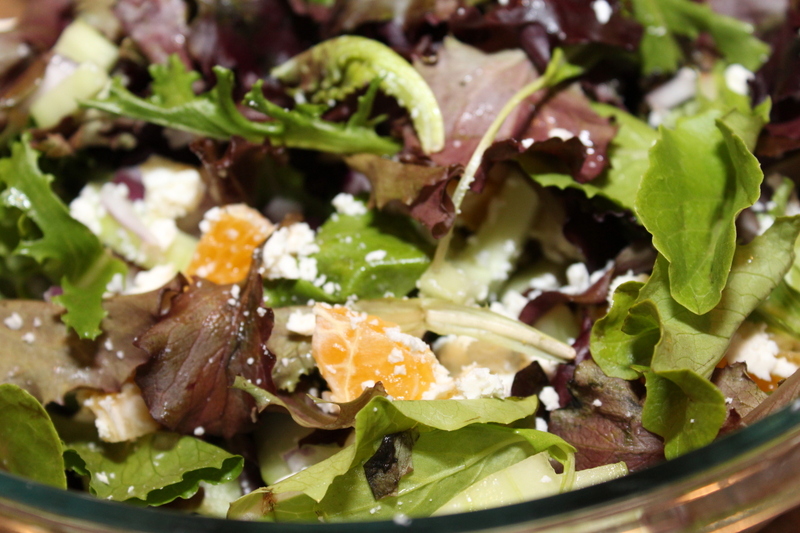 Plus with all the sweetness from the tangerines and the salad dressing made with honey, it was necessary to have something with that salty goodness in it. Some red onions added to it for a little more spice than you get from the arugula is right up my alley. It adds a little bit of a different crunch than the cucumbers do. Which is nice, I don’t usually add them to my salads, often it’s only when we eat out that I see them on my plate.